If so, you'll save a bundle of $$$$ by ordering one of these wood kits. 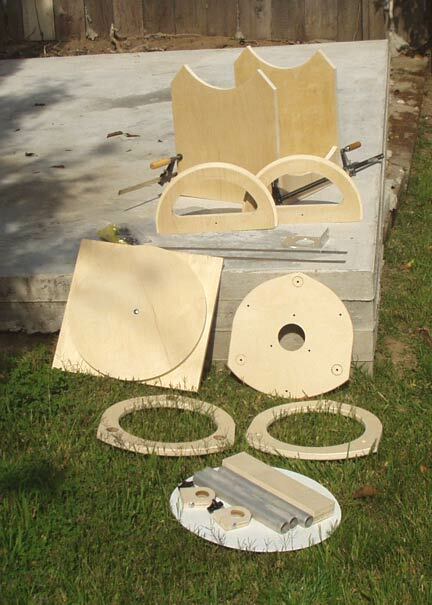 The Kits include all the wood pieces you'll need to assemble a telescope -- but is as "unfinished furniture". You'll need to fine sand, stain and/or varnish as you prefer. The kit includes EVERYTHING you'll need to complete your telescope (you'll use your own spider/secondary, focuser and primary mirror/cell. 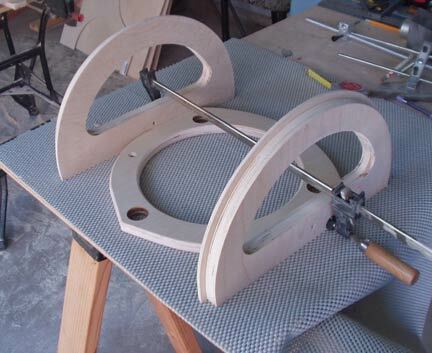 Three "tube-rings", with all holes pre-drilled. 2) Altitude Bearings. Ebony Star laminate included. Teflon bearings included. Rocker Box. 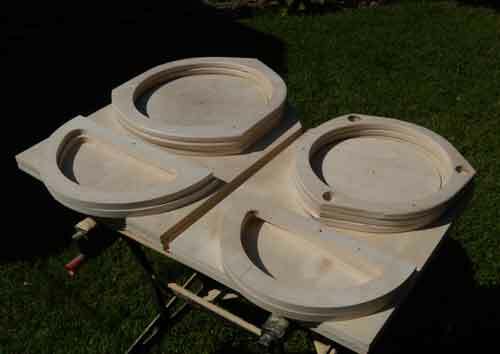 Pieces include the sides cut for the altitude bearings, front/rear support and bottom board drilled for the Ground Board. Azimuth laminate included. Teflon bearings included. 4) Ground Board. Center drilled to match the Rocker Box. 5) Two clamps. These can be used for the finder, a counterweight or other use. A 1.25# weight is included. 6) Inserts for your tubing. Kydex is included for a "focuser" baffle. All of the nuts, bolts, screws and finder bracket needed for final assembly. 8) All aluminum tubing (struts) included. All kits and wood parts are made from 3/4 inch 13-ply Baltic Birch furniture-grade plywood. 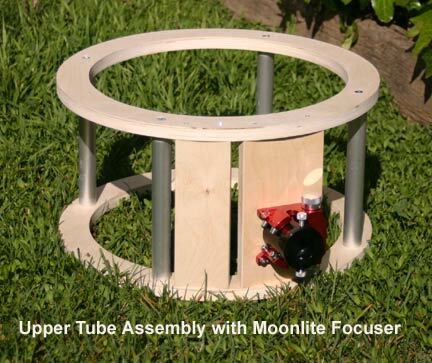 Custom rocker box for Lightbridge -- or any -- telescope (kit or completely assembled). Click here.